You’ve recently passed your test and are ready for the next step on your automotive journey - the purchase of your first car. Brace yourself, whether you’re a teen being guided by your parents or a more mature new driver, it can be a difficult process with lots of factors to consider and choices to be made. So, if been saving pennies for years, been gifted some money by a friend or relative, or are having to rely on finance or loans, you’ll know how much you can afford to spend, but do you know what you want to spend it on? If you’re new to the market, cars can be confusing so we’re lending you a helping hand by racking our brains to bring you a few of what we consider will be the best first cars for new drivers in 2017. We’ve picked several of the most popular cars on the market for first time drivers and applied what we think are the most important criteria when considering a new car. See if you agree. Be sensible. Don’t be tempted to spend more than you can afford. Thankfully if you’re a young driver, you might not be able to get hold of a loan or finance until you are over 18 or 21 so you’ll only be able to spend the cash in your pocket. Otherwise, when calculating a monthly budget for finance or loan options, don’t forget to keep in mind your other monetary obligations the running costs of your new motor. While the initial investment in your new car itself will be substantial, you need to ensure that you can afford on-going costs so that your new wheels aren’t left to rust on the driveway. MPG is an indication of a car’s fuel efficiency, the higher the better, and diesel engines are generally more economic for long runs. If however, you are intending to use your new car for short spins or city driving, petrol will be your best bet. Currently, car tax is based on CO2 emissions which roughly correlate to engine size. 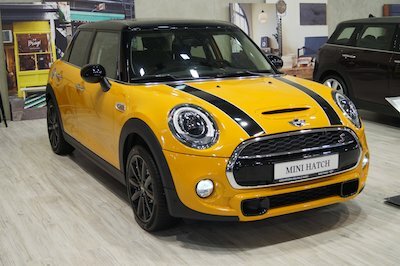 Many small cars have low or free road tax, which is unfortunately set to change in April 2017 when a flat rate of £140 comes into play for all newly registered cars with small savings only to be made during the first year. 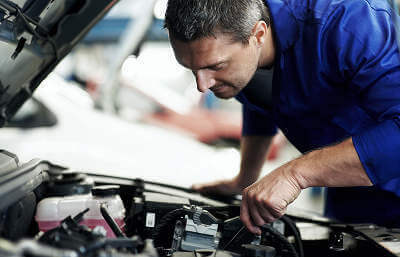 You should also factor in the cost of MOT (if your car is more than 3 years old) car servicing and parts which can vary greatly from manufacturer to manufacturer. For young drivers, insurance can be a huge cost and the reason why many put off buying their own vehicle until they are over 21, when the cost reduces significantly. The insurance band (graded from 1 to 50) will give an idea of what to expect but as premiums vary greatly between providers, you should always get a quote before you sign on the dotted line for your new car. Aside from the make and model of the car, several other things will affect the insurance rate that you pay, such as where you live, age of the car, any modifications it has, the mileage you intend to drive and whether or not you want to pay an excess on any car repairs that you claim for. Luckily, NCAP will have already classified the cars that you are considering to buy using a 5-star safety rating system. Tests involve front, side and rear impact trials and inspect features such as airbags, seat belt configuration, child protection systems and Electronic Stability Control. The higher the star rating, the more effective safety features a car will possess. If you’ve just recently passed your test, the learner car that you used might be the only one that you have ever driven. While you might be tempted to buy the same make and model, consider other cars with equally good handling, i.e. they are responsive to your steering and braking grip the road well when you corner. You’ll also want to be comfortable in your new car. Whether it’s a daily commute or a quick trip to school to pick up the kids, you deserve a pleasant ride. If you need your car solely for getting you (and maybe a couple of friends) from A to B, space might not be a huge consideration. However, if you have a family, a pet and/or intend to use the car to transport work or sporting equipment, or a month’s shopping in one go, you’ll need to take interior dimensions into account. While it’s common for most first cars to be on the compact side, there are times when bigger might be better. When you’ve just passed your test, you’ll want to show off to friends and relatives in a stylish new drive. So, while keeping the other (more practical) factors on this list in mind, it would be nice to get hold of a motor that’ll get you a little bit of attention. After all that effort learning to drive, you’ll want to be proud of your new wheels. If you are thinking about keeping the car for a couple of years before swapping it for another, the rate of depreciation might be an important factor for you or whoever is helping to fund your purchase. When it comes time to sell on or trade in your car, a decent resale value could have a huge effect on your choice of new vehicle. With these credentials in mind, we’ve looked at a few of the most popular first cars for new drivers. Each has its own strengths (and weaknesses) but all will appeal to someone. 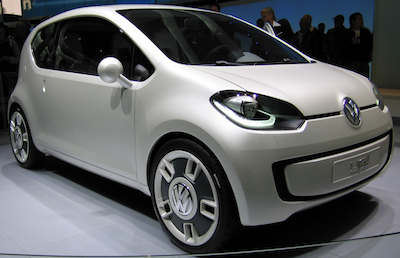 The Volkswagen Up! Has come top of our tests. Do you agree? Which car have you chosen as your first car and why? Let us know on Facebook or Twitter which factors affected your decision and share your experience with those who are tentatively making their first moves towards a life of motor ownership.